Automate timekeeping, reduce errors, and increase organizational performance. Move from manual time tracking and sign-in sheets to online scheduling, employee availability tracking, and time clocks. Improve worker productivity and replace manual time cards. Ensure your workers are clocked in at the right place at the right time. Create shifts with clock-in windows to reduce early clock-ins and unexpected overtime. Compare scheduled time to actual clock-ins. Make it easy to manage time and attendance. Numerous online time-clock options make it easy for workers to clock in and clock out. Use online employee time clocks to view who is clocked in, in real time. Alert managers to last-minute no-shows and include manager notes on staff attendance. Generate time cards from employee time clock data and then process them with manager corrections and approvals. Shiftboard’s time and attendance system easily integrates with HRS and payroll systems. 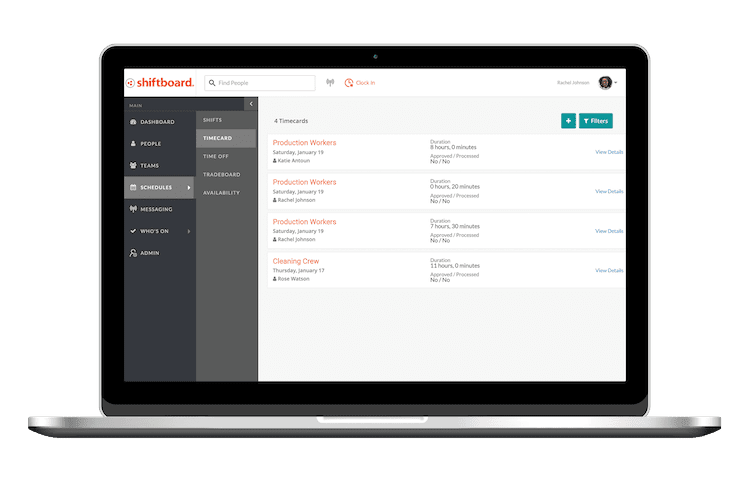 Shiftboard’s time and attendance tools keep your overtime in check. 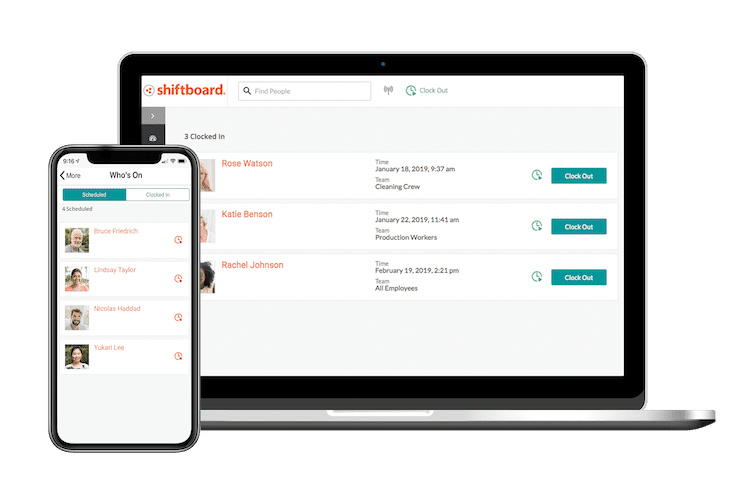 Time ClocksWith Shiftboard’s time and attendance solution, employees can clock in and out of scheduled shifts using mobile apps or on-site devices. Set controls on early clock-in and run reports to make sure each time card is accurate. Standalone time tracking misses the mark. Integrating scheduling with time and attendance improves visibility and provides better cost control than time clocks alone. Scale scheduling and time tracking for 100s or 100,000s of workers. Align actual time worked with schedule and budget. Create time cards and run reports to track your workers. Restrict clocking in to assigned shifts or open time tracking without specifying a shift. Restrict early clocking in to control accidental overtime. You set the controls you need to match your business. Time CardsHistorical records are critical. Create time cards based on time clock information. Check, edit, and approve time cards for processing and future historical review. Eliminate paperwork associated with time cards. A time card is a record of the hours that an individual worked and can be used as a historical record. When using the Shiftboard time clock functionality, time cards are automatically created tracking when your staff clock in and out for their shift. Staff can then submit time cards for manager review and approval. Managers can easily view and approve time cards by individual or for the entire team. 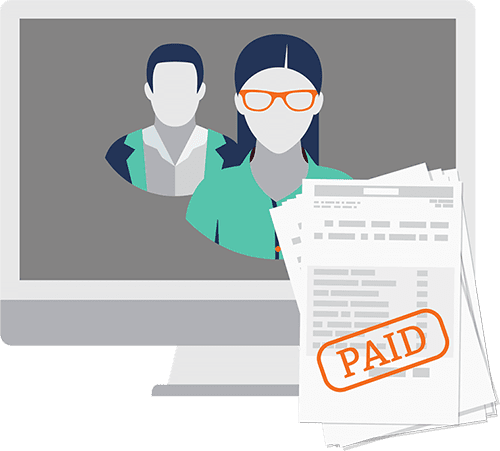 You can reconcile time cards with budgets and forecasts and can export or integrate time-card information with payroll systems. Review time cards by individual, team, shifts, or organization. It’s easy to run the current time card or historical compliance reports you need. Time card add-ons—add additional information like mileage, tips, or per diem for travel time. IVR/QR CodesOn-location clock-in may be required. Clock in and out using onsite land-line phones (IVR) or QR codes. From mobile phones or printed badges, QR codes make on-site clocking in fast and accurate. Clocking in at remote locations can be a challenge. 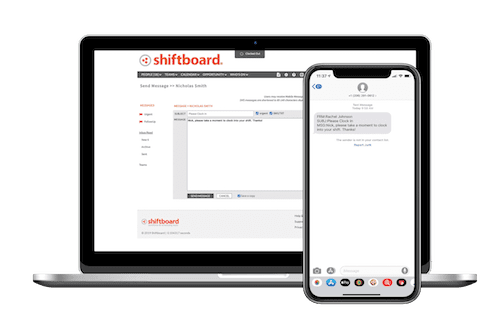 In some locations where mobile or wireless access is unpredictable, Shiftboard enables you to use land-line phones with integrated voice response (IVR) for your staff to clock-in and out without having expensive on-site hardware. 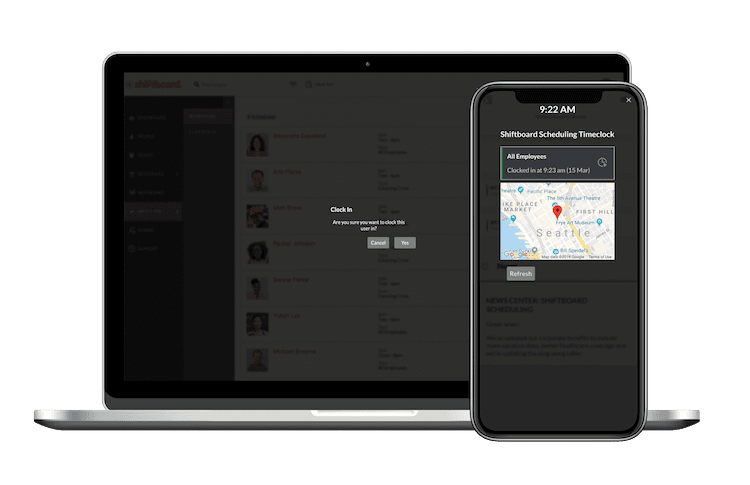 Shiftboard’s IVR gives you dedicated local and toll-free call-in numbers so you can track staff at even the most remote locations. Another location challenge may be staffing multiple events. Your team can use QR codes to clock in and out at your event. Shiftboard provides a QR scanning app to help you track time and attendance as well as other event items like meal vouchers. QR codes can be scanned from mobile phones or printed badges. You can have your staff clock in directly or have a manager control on-site clock in. 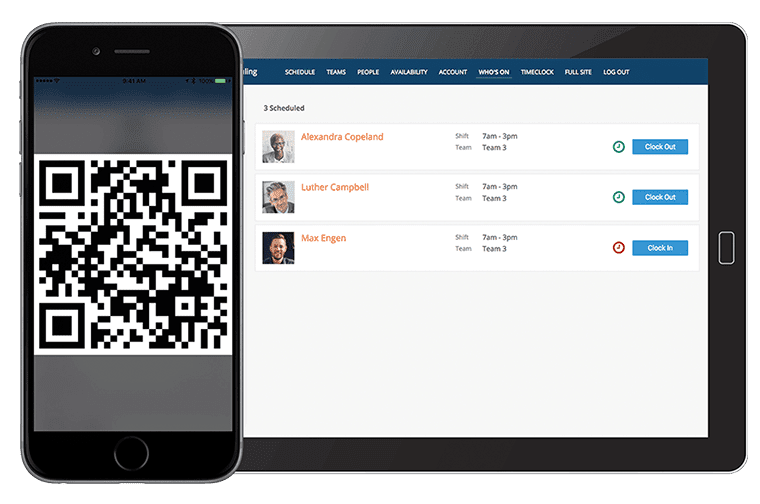 Store QR codes as well as IVR IDs and PINs in Shiftboard’s worker profiles. Custom worker profiles allow you to store all the information for your workers in a single location for fast access and reporting. Phone clock-in (IVR)—use interactive voice response (IVR) using landline phones to clock in and out at remote locations. Set up numerical ID and PIN instead of a regular login and password to access both schedules and time clocks when using IVR. Secure time clock—store time clock URLs and set PIN number in worker profiles. This makes it easy for workers to manage and reset their PIN numbers and access online time clocks. QR codes—create QR codes for your team to clock in and out. Use QR codes to handle more than just the clock—including identity verification, access control, and voucher redemption. QR code app—download the mobile QR tracking app called QRPassport. This app enables a device to be your QR time clock. Your staff can simply clock-in by scanning in with their personal Shiftboard QR code. QRPassport stores pictures of the field of vision for each scan to ensure the identity of the person clocking in. Who’s WorkingManual employee monitoring is tough. With online time tracking, you can see who’s clocked in anytime, so there’s no need to be on site to manage timekeeping. Shiftboard’s automated time and attendance saves everyone time and boosts employee productivity. Your business runs based on having the right people in the right place at the right time. If people are late or don’t show up, you may need to notify current clocked in staff that they need stay and cover, adjust future scheduled shifts, budget for extra overtime, or even quickly call someone in to meet compliance requirements. Using Shiftboard, you can easily message people who have not clocked in to see if they just forgot to clock in or if they are on their way. Being able to always know who is currently clocked-in helps you respond quickly to unexpected events. Record the no-show status as you track down people who are not clocked in. This makes it easy to run historical shift reports and identify no-show trends. Who’s clocked in—use a single click to check who’s clocked in now and respond quickly to unexpected no-shows. Send messages to see if people are late, or will miss their shift. Easily contact other qualified team members to cover unexpected absences. No-show status—track reasons for no shows and run reports across shifts to compare team results. Configure the no-show reasons to match your business, for example: sick, late, approved absence, no-show, forgot to clock-in, etc. GPS report—show historical information on when people clocked in and out including their GPS location or IP address. This shows when and where your team members were when they clocked in and out. You can also restrict clocking in and out to specific locations. Manager AlertsAlerts mean faster response times. Someone on your team may be late, missed a shift, or just forgot to clock in. With manager alerts and messaging, you can respond quickly to unexpected events. Responding fast to change is critical for your business. 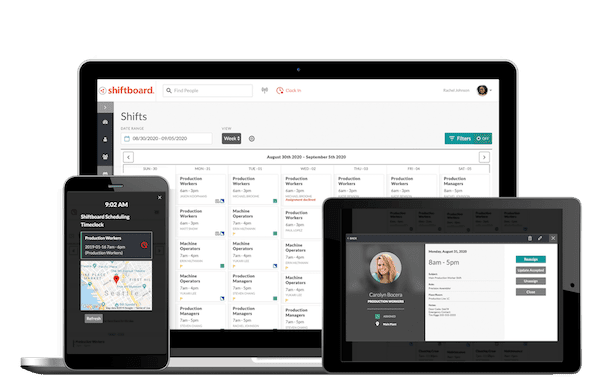 Shiftboard’s integrated scheduling and time and attendance tracking correlate scheduled shifts with time clocks. 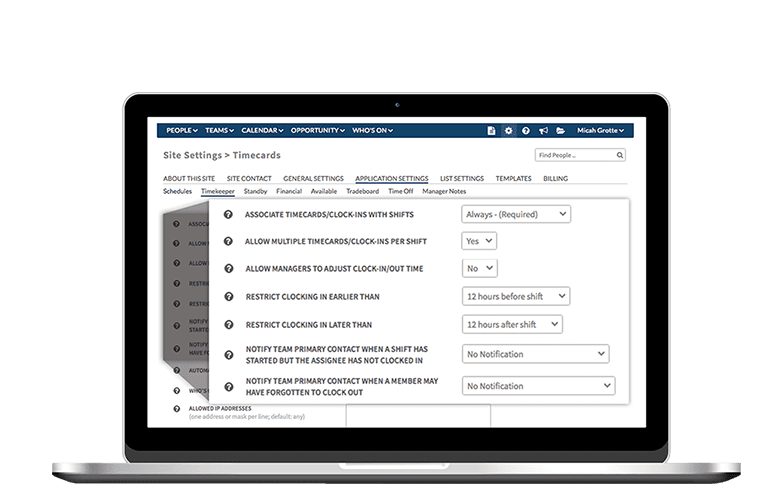 Automatically send manager alerts when staff have not clock-in for shifts. Managers can quickly check who’s clocked in and respond. Managers can send messages, adjust shifts, notify people on call, or add people from standby lists to respond to unexpected changes. Managers can also send a broadcast message to the entire team to keep them up to date on what’s happening. Track no-show codes and record manager comments regarding absences using the Shiftboard manager notes feature. Managers can also get alerts when staff forget to submit time cards. CustomizeYour timekeeping workflow is unique. Control clock-in time or ask people to arrive early. Create time cards by week, bi-weekly, or bi-monthly. We work with you to make things just right. Timekeeping software can be inflexible. With Shiftboard’s time and attendance you get the flexibility you need. You can have a simple implementation or a highly flexible system to match your business needs. You have a variety of time clock options making clocking in as simple as tapping clock-in on a mobile device, or setting up highly secure location-based time clocks. You can have everything from default time cards with staff profile information and hours worked to complex time cards that include mileage, tips, and more. Shiftboard’s team of experts will help you configure your time and attendance tracking to match your needs. Time clock options—choose from a variety of time clock options. Your team can clock in from any device including using mobile apps, IVR, and QR codes. Flexible time cards—configure time cards to include the information you need and make it fast to review and approve for processing. Clock-in windows—configure time clocks to block clock-in to within certain times of shifts. For example, don’t allow clock-ins prior to 5 minutes before shifts, or don’t allow clock-ins once it’s 15 minutes past the start of a shift. Setting clock-in windows can help you reduce overtime. No-show reasons—record and report on no-show reasons. You can define the list of late or no-show reasons you want to track. Toolkit [Toolkit] How to Create an Hourly Workforce ScheduleMake the best employee schedule for you and get tips on managing your hourly workforce. Get the complete tool kit. Blog [Blog] 2019 Labor Laws: How Employment Laws Impact Your BusinessStay informed on new legislation landscape around hourly workers. 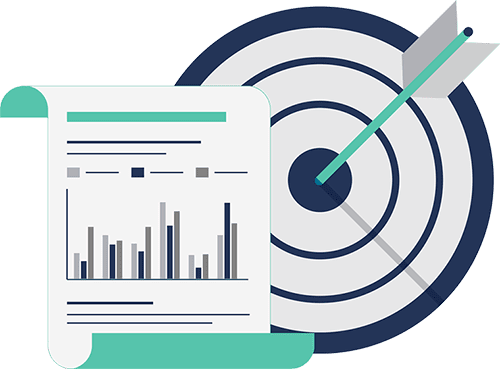 Webinar [Webinar] The ROI of Scheduling AutomationLearn more about how scheduling software can positively impact your workforce management process.